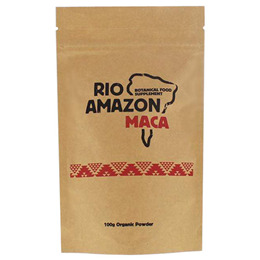 RIO AMAZON Maca - Healthy Male Sexual Enhancer Powder is also known as Peruvian Ginseng supports physical and mental performance. Maca is a source of energy and rich in nutrients. In traditional Andean culture, Maca has long been used to help maintain optimum stamina levels - hence its nickname of ‘Peruvian ginseng.` It may also contribute to a healthy male sexual function. 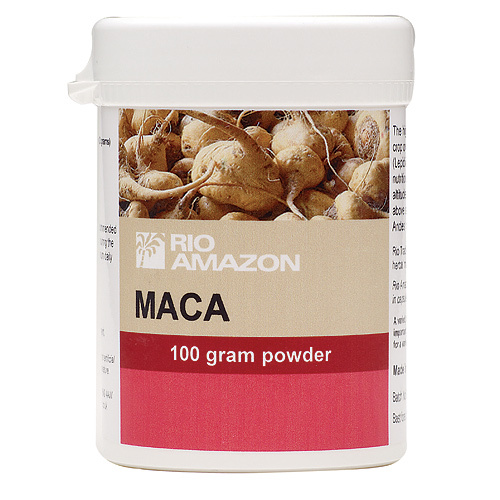 Maca has a high nutritional content. Proteins make up around 11% of dry Maca root. Calcium makes up 10% of Maca’s mineral count - which also includes potassium, magnesium, iron, silica, and traces of iodine. Vitamins found in Maca comprise thiamin (B1), riboflavin (B2) and vitamin C. Maca is also a source of two alkaloids (Lepidiline A and B), plant sterols (ß-sitosterol, campesterol and stigmasterol) and some other actives. Pure powdered Maca root (Lepedium Meyenii)..
1 level teaspoon (approx. 5g) per day. Can be mixed with water but is best added to nutrition shakes or juices. Below are reviews of RIO AMAZON Maca - Sexual Function - 100g Powder by bodykind customers. If you have tried this product we'd love to hear what you think so please leave a review.